Who doesn’t love summer? BBQs, ice cream, vacation and…no alarm clocks! Just because school’s out doesn’t mean it’s all junk food and brain drain. Check out some easy, fun ideas on how to keep the entire fam active and engaged this summer! Ask your kids to be your activity guide for a weekend and have them pick a place you can easily visit. Let them research the destination and recommend places to see, eat and explore. 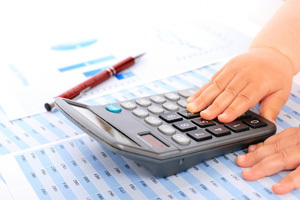 For older kiddos, give them a budget to work with and put them to the test. It gives them a chance to share their interests, make memories, and it’s a creative way to sneak in some summer social studies! Round up the neighborhood! Encourage your kids to coordinate weekly activities like scavenger hunts, wiffle ball tournaments or a summer-long game of tag. It will get them moving. Plus keep their connections fresh with neighbors and friends. Not many kids in your neighborhood? Make regular visits to the playground or splash park to meet friends or make new ones! 3. Brains Need Exercise Too! Ever heard of the summer slide? Studies show that kids can lose up to two months of their knowledge and skills between grades. Yikes, we don’t want them starting the new school year at a disadvantage. That’s why they’ve got to keep those brains active. 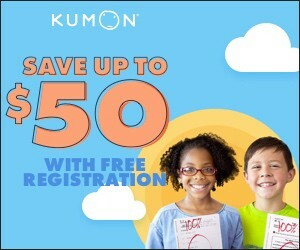 Sending your kiddo to an individualized self-learning program that focuses on math and reading (like Kumon’s) will keep them mentally fit and ready for the fall. Cooking, gardening and science experiments are fun ways to slip in summer learning opportunities too. Nothing says summer like a good old-fashioned camping trip. Bust out the tent, pack up the marshmallows and take your loved ones on an outdoor adventure. Hiking, fishing, nature hunts and of course, campfires (s’mores please!) are just a few of the awesome things you can do with your crew. Not crazy about roughing it? Camp out in your backyard. Your bathroom is only a few steps away! It’s easy to turn on the tv, tablet or game console when it’s hot and muggy outside. Limiting screen time can inspire your kids to pick up a book, use their imagination or discover a new hobby. Be sure to have books and alternate activities on hand. Designate tech times or make usage time an incentive. And remember to practice what you preach, you just might find a new hobby to do together! Even everyday activities can be made into great learning experiences. Get your children involved, ask questions and enjoy quality time together! 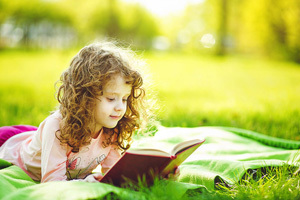 With a little help from great resources like Kumon and an ounce of creativity, we can make sure this summer is a time to unwind, have fun and stay prepared for the next school year. Did you know that your kids can lose up to 2 months of learning during the summer? That’s why so many parents are enrolling their kids in Kumon right now. Kumon keeps your kids engaged, advancing, and learning essential skills for success like focus and confidence.